This event is for walking enthusiasts, photography buffs, nature lovers. Do not miss the great outdoor experience as you would be walking with a professional guide. 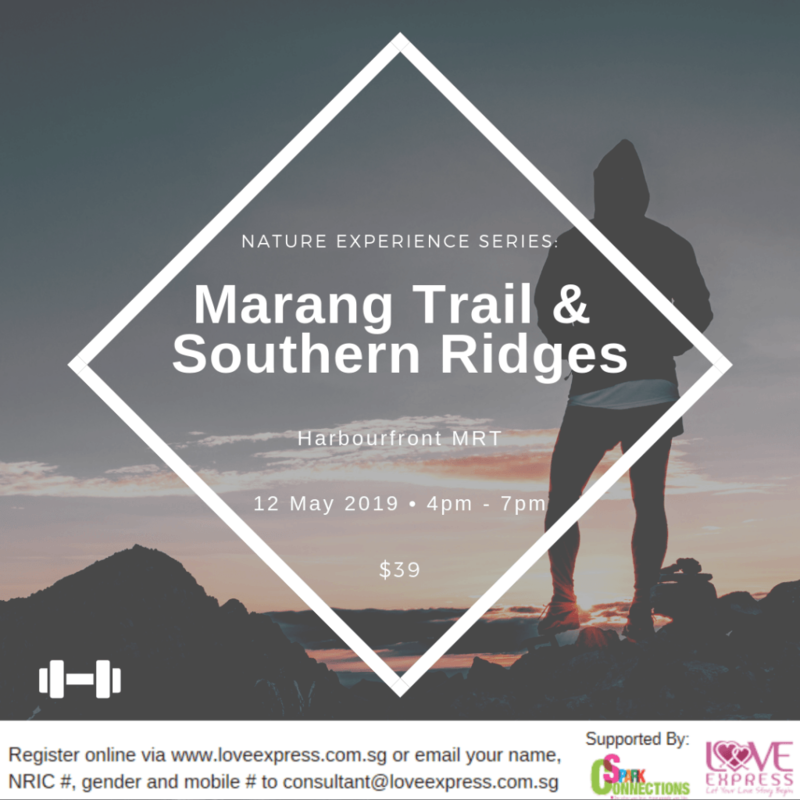 We start off at the Marang Trail to discover the flora and fauna of this secondary forest before passing through Faber Walk where the Jewel Box and Merlion Sculpture are located. Enjoy a bird’s eye view of Singapore’s waterfront and the Southern Islands. We will walk along the award- winning architecture Henderson Waves which is the tallest pedestrian bridge in Singapore. This is a good spot for viewing migratory birds of prey as well as appreciating scenic views. Thereafter, we will stroll through the Forest Walk and enjoy the lush secondary forest canopy on a step-free elevated walkway. Different species of birds can be spotted here. We will also pass through the Alexandra Arch before ending our trek at the HortPark. Price includes a professional guide, refreshment, discreet facilitation, secret admiration and matching.